Meet Botley. 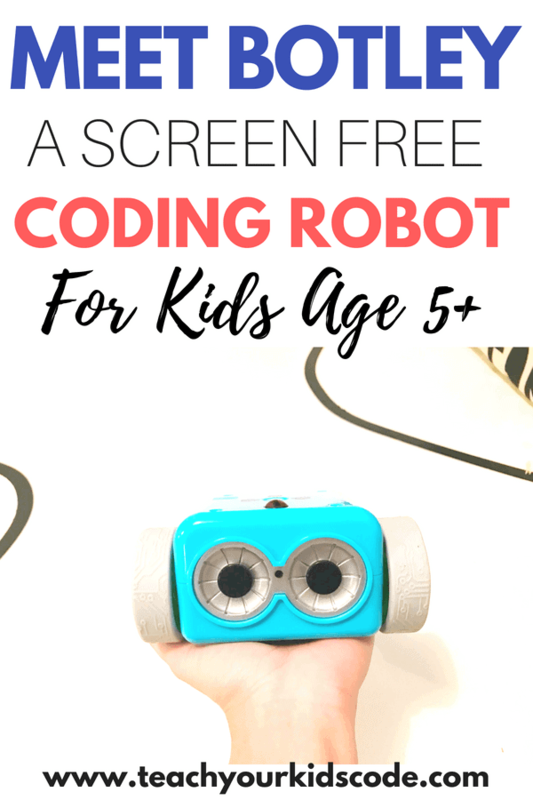 A coding robot for kids packed with all sorts of fun activities and games. 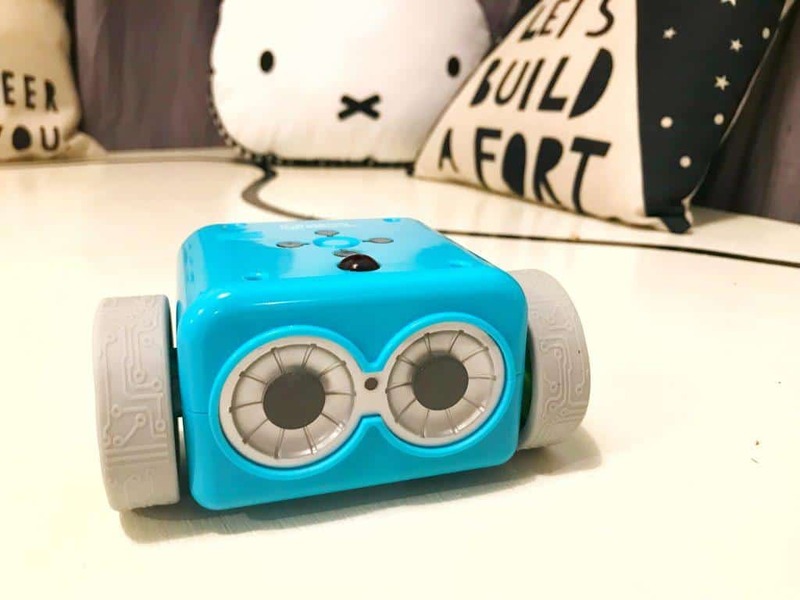 We recently purchased a Botley coding robot for our family and I’m here to give you our full Botley robot review. If you are looking to teach your kids to code, Botley has a lot of fun and creative coding activities for kids to enjoy. Botley does not require a computer or app, which makes it a great screen-free way to teach kids code. 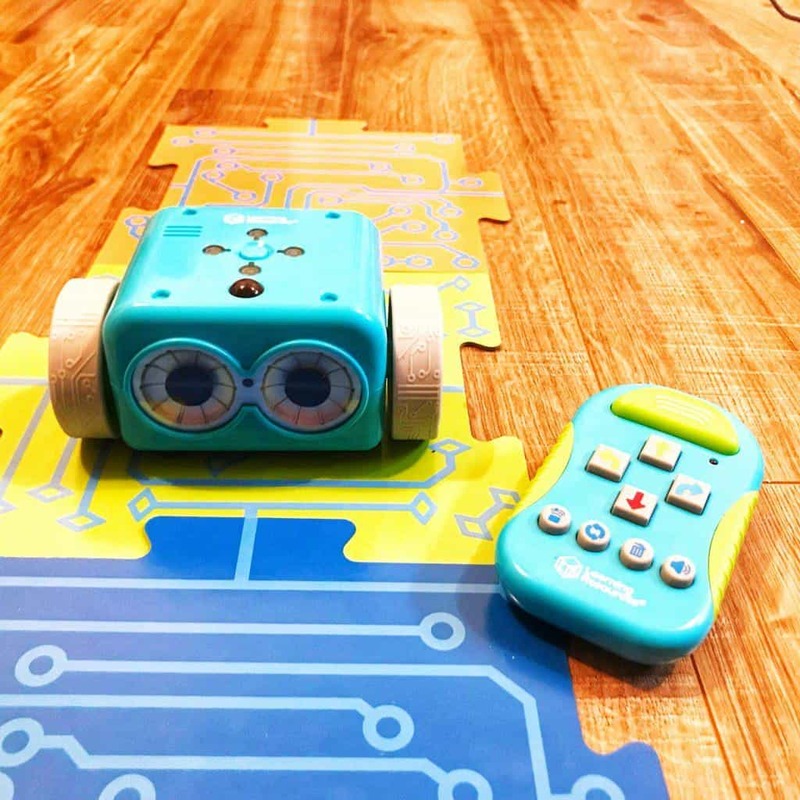 As far as STEM toys go, Botley is one of our favorite coding robots for kids! Read on for my full review! What is Botley the coding Robot? What age is Botley the Coding Robot aimed for? What coding skills are taught with Botley the robot? Where to purchase the Botley Robot? 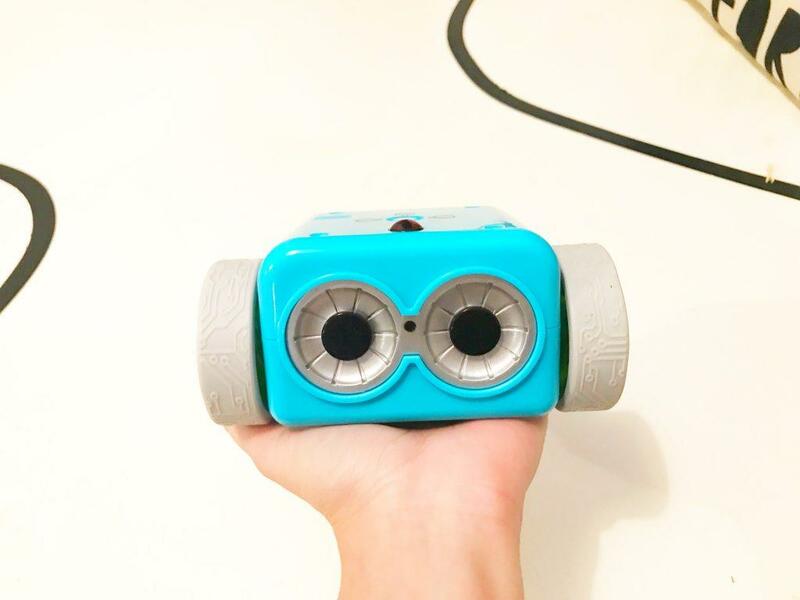 Botley is a colorful robot and remote control combo that teaches kids beginner code. Children can program their Botley coding robot by entering a code on the remote and then ask Botley to ‘run the code’. Kids will learn the basic concepts of coding like algorithms, loops and debugging while playing with Botley. These are coding concepts that even 5 year olds can understand. Botley is entirely screen free, which is a great feature of this coding robot toy, especially for the younger crowd! Coding at this age is not just about computers – learning to code has many benefits beyond the computer screen. Kids who learn the basic concepts of coding will also be learning to problem solve and think creatively. Botley has an intuitive interface and a kid-friendly design. Aimed at kids as young as 5, Botley is marketed to a younger crowd of kid coders. My eldest son is currently 5 and he is able to do a lot of the basic robot activities even without my help. I do think age 5 is likely the right age to start with this robot to get the most out of it. 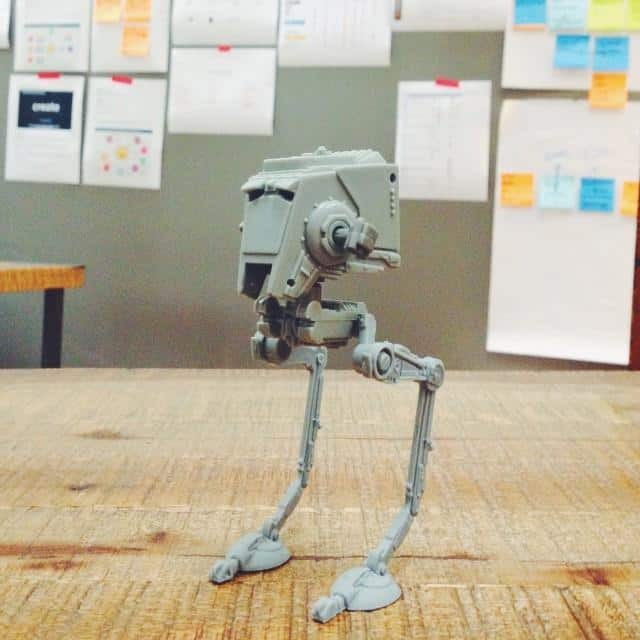 Most kids age 5-8 would enjoy this robot and find it challenging! Especially if they do not have a lot of experience with coding. After age 8, or for advanced coders, the Botley coding robot is more limited. At the most basic level, Botley teaches kids critical thinking and problem-solving. In my opinion, these are the most versatile (and necessary!) skills that coding teaches kids. It’s not all about kids becoming computer whizzes and programmers in the future. You can read about all the benefits of learning to code here. Kids need to learn to program Botley with a code and then have Botley execute the code. By doing this, they are creating an algorithm. This is a nice feature of Botley that some other remote control based coding robots don’t have. Kids will learn to think ahead and predict where Botley will end up based on the instruction they give him. Being able to plan out steps in advance and program them all at once is an important skills for young coders to master. Botley is also able to perform loops, which are an important part of making computer programming efficient. Loops are fun for kids to design. Finally, Botley is able to think on the fly! More complex coders can understand how to program Botley for an “If, then” sequence. If Botley detects an object in his way, what will he do? This is one of the more sophisticated features of the Botley coding robot. Check out my video below to see all the Botley Skills in action! While you are at it, follow my facebook page to see more fun fun things to do with robots delivered right to your newsfeed! Are you thinking of using Botley in your classroom? You’re in luck! The Learning Resources website has a free Botley Lesson plan to use in your classroom. You can grab this resource here. Learning Resources also offers a variety of printable including mazes and obstables to print out and use at home or in your classroom. You can find these here. There are lots of Botley activities that you can also create on your own! 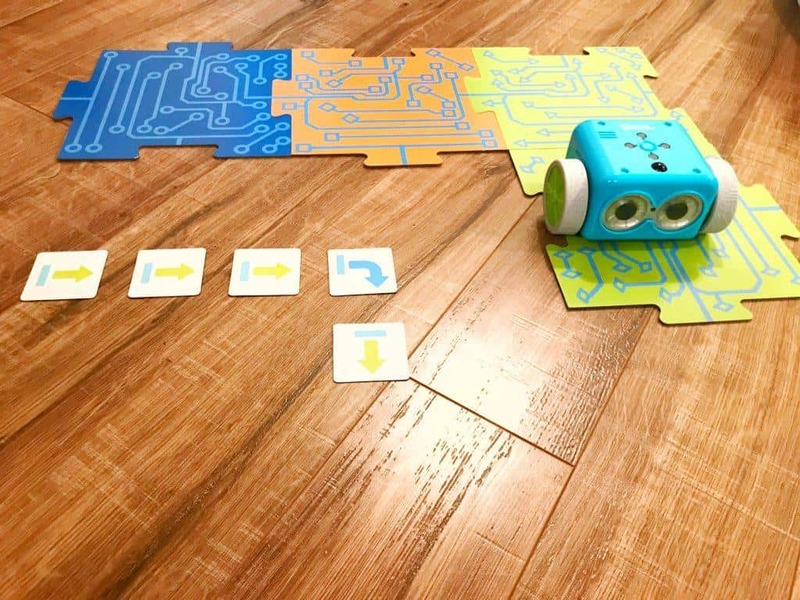 Check out some of our screen free coding activities including coding with a deck of cards and coding with hotwheels that can easily be modified to include a robotic toy. The Botley Robot Action Challenge accessory pack is a total must-have! This was absolutely the best part of the Botley coding robot for my son. The 41-piece accessory set allows you to create a series of super fun chain reactions that my son went WILD for! Chain reactions are always a blast, and adding in Botley allows you to get kids motivated to practice coding skills to see the chain reaction occur. I highly recommend this set. Even without Botley, this is a great STEM toy for little kids that is SO MUCH FUN! If you are looking to purchase a Botley coding robot, it is available for purchase on Amazon. You can read more reviews of the Botley coding robot here. Botley has a lot of fun accessories, including a chain reaction set that is available on Amazon here. We absolutely loved Botley the coding robot and had a lot of fun playing with him and teaching him to follow our basic code. We are going to donate him to our son’s kindergarten classroom because I’m so excited about Botley as an educational tool for little kids. Botley definitely targets beginner coding skills, which is perfect for the kindergarten and grade 1-2 age groups. One of the great features of the Botley Robot is that is completely screen free. In my opinion, this is a great feature for the younger age group. However, at the end of the day, computer programming does require… a computer! Botley is somewhat limited compared to other robots on the market in this regard. If you are looking for a robot that has many of the same features of Botley but also expands into learning a computer-based coding language, check out my detailed review of the Edison Robot.